For both new applications and repairs, Forest Contractors’ curb machine is equipped with a variety of moulds. For special designs, our qualified craftsmen can hand-pour almost any shape or form. We handle a complete range of work that varies from smaller repair projects to larger projects, which entail redefining and supporting the grade changes of thousands of feet. Dolly pads are essential to the transport of heavy equipment. The team at Forest Contractors has the tools and expertise to produce the highest-quality dolly pads to ensure ease and efficiency during these transports. At Forest Contractors, we understand what it takes to produce a superior dolly pad, including calculating and constructing the right size and strength. These factors are critical in ensuring a stable concrete platform. 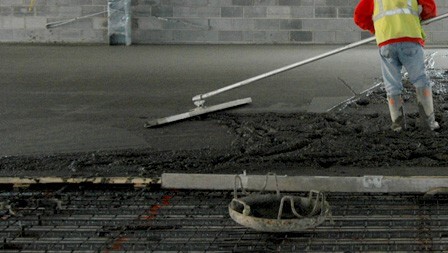 The floor of any concrete construction must meet a number of criteria: it must provide a uniform and level surface; it must have adequate strength and stability; it must have a barrier to dampness from inside the building; it must have thermal insulation; and it must be resistant to fire. Whether you are a business owner or landowner, you can trust that Forest Contractors will ensure that the essential criteria are met. Parging is the act of covering a part of a building, particularly a brick wall, with plaster or mortar. 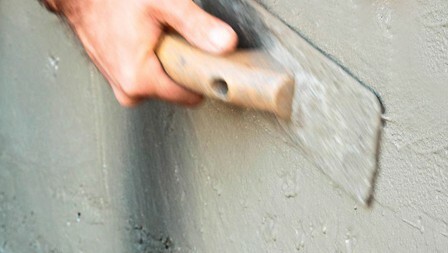 Strong cement is applied to areas of a wall after covering it with a galvanized mesh, followed by the application of a second coat of cement to smooth out the area. Parging an existing wall or making repairs to an area of parging is essential to ensuring protection against weather conditions like rain or snow, since moisture can enter a wall through cracks and threaten its stability. This makes parging an important service in building construction and maintenance. 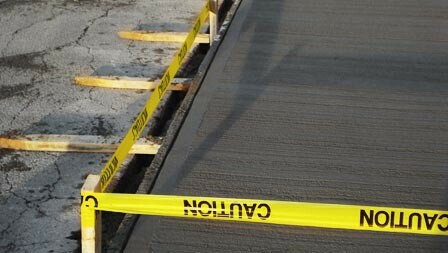 Concrete walkways are a long-term solution to accommodate pedestrian traffic. 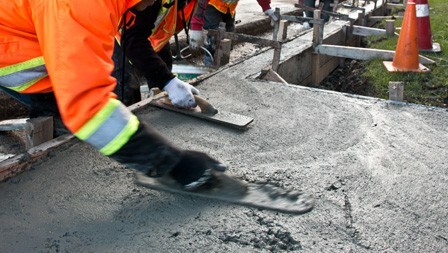 The concrete tradesmen at Forest Contractors can form and pour various designs and ensure level finishes for safe use and an overall esthetically pleasing addition to the landscape. We have a large variety of finishes available, and are also equipped to do all types of repairs in order to keep areas free of hazards and reduce tripping caused by deteriorated, cracked or heaved slabs. 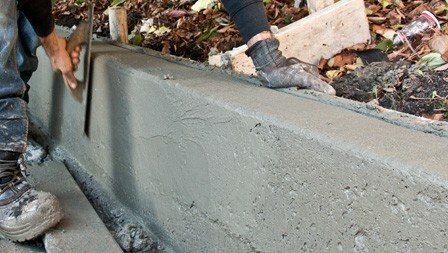 A toe wall is otherwise known as a low retaining wall. The team of experts at Forest Contractors uses the highest quality equipment and expertise to construct durable and esthetically sound toe walls for various projects. 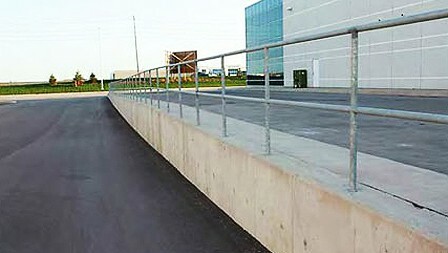 Commercial and industrial toe walls/low retaining walls enable the retention of the natural grade changes of a property.